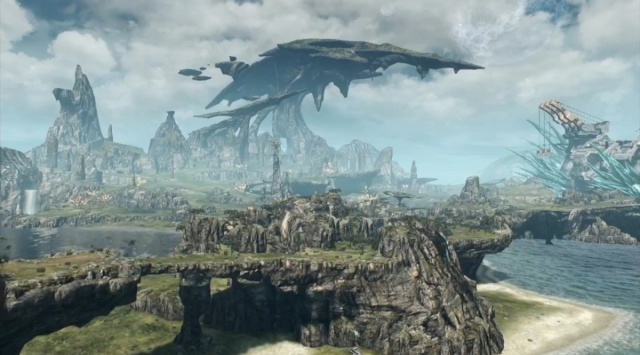 First-Look: The Scale of Xenoblade Chronicles X! If you've played the first Xenoblade Chronicles title on the Wii or 3DS you probably were impressed by the sheer scale of the game's world, well Xenoblade Chronicles X is far bigger and the scope of the game's world has even us scratching our heads in amazement! The world is split into five separate regions, though we only explored the first area fully in our first 50 hours as well as a small portion of two other regions. You can blow through the first 10 chapters in that amount of time, but we just couldn't help but take in the scenery and take on the optional quests and missions in the game! Even the main city "NLA" where you do most of your shopping and accept most Blade quests is the size of an actual real-life city! There are tons of details to take in if you just take your time with the game! Visually it felt like we were playing a PS4 game which is an incredible feat on Monolith Soft's part! Overall we highly enjoyed the first five chapters and will be working on a second-look article regarding additional thoughts on the 6th - 10th chapters of the game sometime next week. 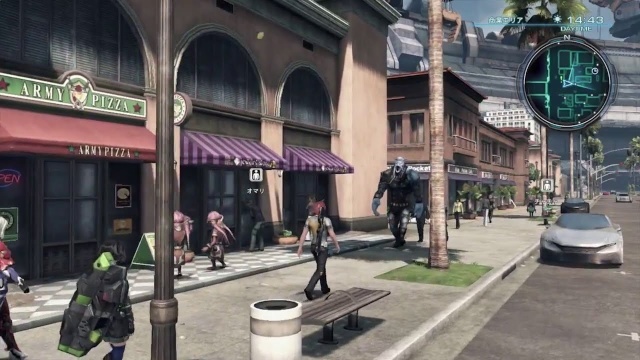 Re: First-Look: The Scale of Xenoblade Chronicles X! I can't wait to be a heropon once again! Nice article! Thanks for making this article as spoiler free as you could @Ichigofan. @Talesfanatic Thanks for the kind words! I'm glad you enjoyed the first look article. It took 50 hours just to fully explore one-fifth of the game world?! This game just shot up to near the top of my list of most anticipated Wii U games! I already have this game preloaded on my Wii U! I'm so ready for Xenoblade X! I already have this game preloaded and am eagerly awaiting the games release! @Everyone thanks for all of your comments! This is our first article "that isn't a review" in the past couple of months that has reached popular status on our website! I can't wait for Friday evening! So can you make your own avatar to use in the game world? I appreciate any game with some sort of character customiser, and it'd make the overall package that much more tempting for me to collect. Also, could someone please jog my memory re: online play? @GeekyGamerZack Yes, and there is some online co-op in the form of squad missions. My body is ready for this game!